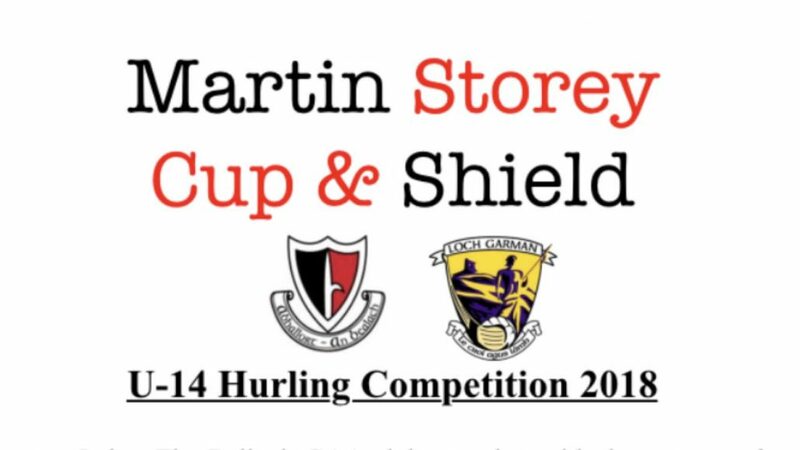 Wexford GAA & Oulart The-Ballagh GAA are delighted to announce that the Martin Storey Cup will run again this year. Last year was a huge success and we hope even more teams will enter it this year. Last year we had 19 clubs enter and all teams got at least 5 games. Oulart The-Ballagh will host the finals day where there will be 3 finals played – Plate, Shield and the Cup. Martin Storey will present all trophies and medals on the day. This year, it will be an U14 competition as opposed to the U15 competition that was run last year due to the change in age grades. We are trying to cater for the player who is in their first year at the U15 age grade. Please see attached the poster & the rules for all the details. All teams must be registered by Friday, September 21st 2018. Any queries please contact Willie Cleary on willie.cleary.gda.wexford@gaa.ie or 087-6072101.